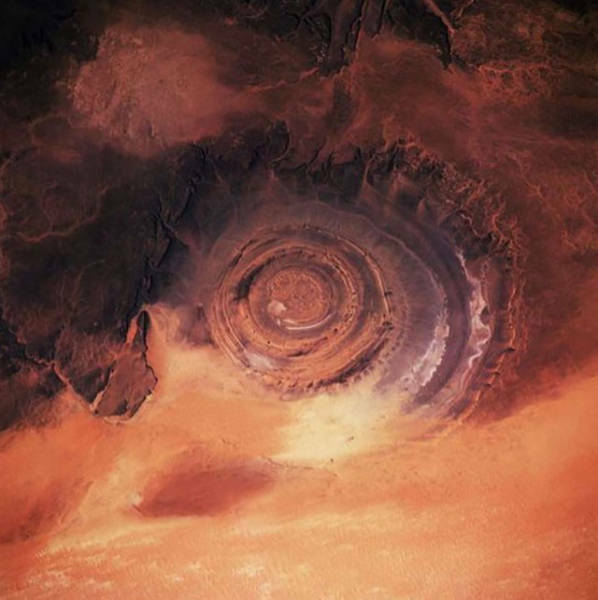 Also known as the Richat Structure, it looks like a big wide eye, hence the name: the Eye of the Sahara. With a diameter of 40 km, the eroded dome-like structure was first interpreted as an asteroid impact. After several studies, it was concluded by geologists to be a highly symmetrical and deeply eroded geological dome. The center of the dome consists of siliceous breccia, measured at around 30 kilometers. 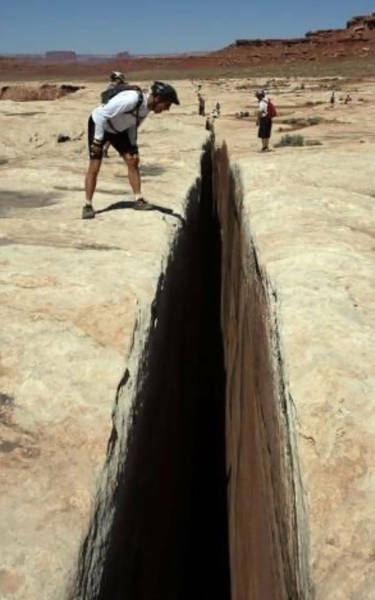 The Black Crack is a natural fissure in Canyonlands National Park. It is said that the White Rim Trail, where the crack is situated, was used by cowboys and miners in earlier times to get to the lower benches of Canyonlands. In 1918, it was made into a trail by a group of cattle ranchers, and it was widened by uranium miners in the 1950s. 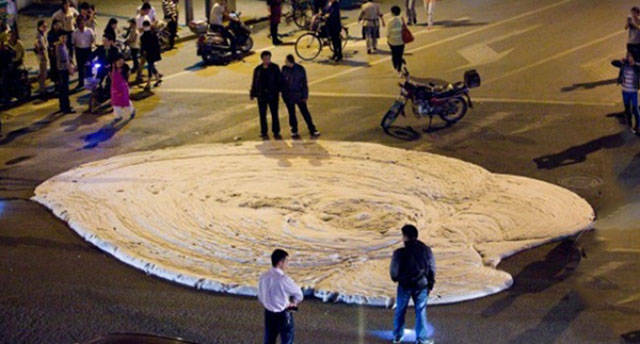 The crack is a natural formation, and its intimidating looks attract many people. The Trail has now become one of the most interesting treks among tourists. If you happen to be here, don’t forget to check out the low cliffs on your right on your way back from the trek. There is a large alcove around 200 yards away from the trail with 2 holes in its roof. It is said that the flint flakes scattered across the wash in front of the alcove are remains from the stone age. These flakes don’t occur naturally but were used as tools by prehistoric men. This seashore is lit so beautifully! 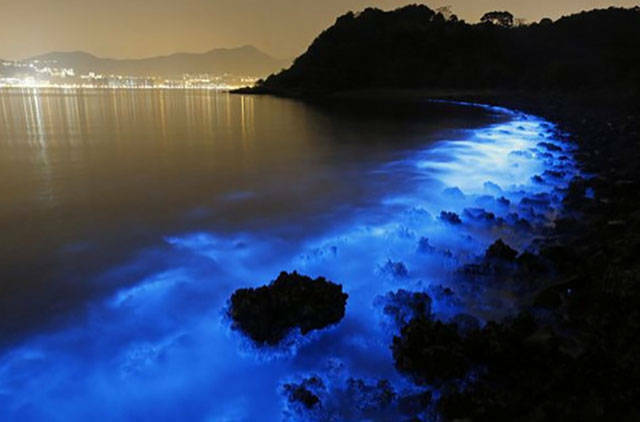 The bioluminescent bloom in Hong Kong, also known as sea sparkle, is said to have been formed by farm pollution, which can be devastating to marine life and local fisheries. Thus, however beautiful it may appear, it is alarming and needs immediate attention. If you’ve ever wondered what inspires humans to create paintings, you must see the Rainbow Mountains of China. 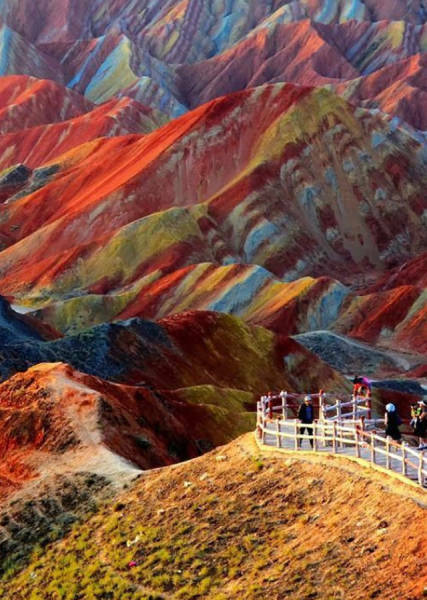 Situated in Zhangye Danxia Landform Geological Park, these are truly nature’s wonderful creation. Declared as a UNESCO heritage site in 2009, they are said to have got their colors from minerals, iron oxide, and other such substances. At first glance, they look to be straight out of a Harry Potter book or a fairy tale. 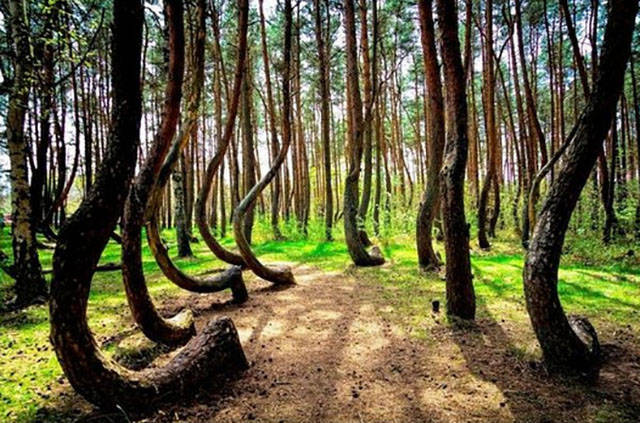 Planted in 1930, there are around 400 pine trees bending strangely northward. And it’s still a mystery why they are like that. It has been assumed that they were bent by human intervention of some kind. But the reason for it will not ever be known. It looks like Antarctica is the center of mysterious happenings! 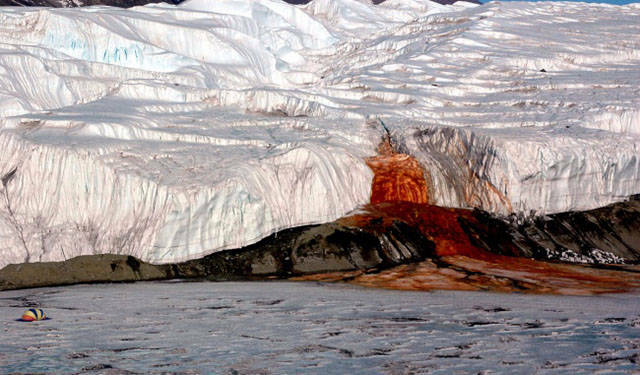 Found in 1911 by the Australian geologist Griffith Taylor, Blood Falls gets its red color from oxidized iron in briny saltwater. The process is the one we all read about in school: iron turns red when it comes into contact with oxygen in the air. 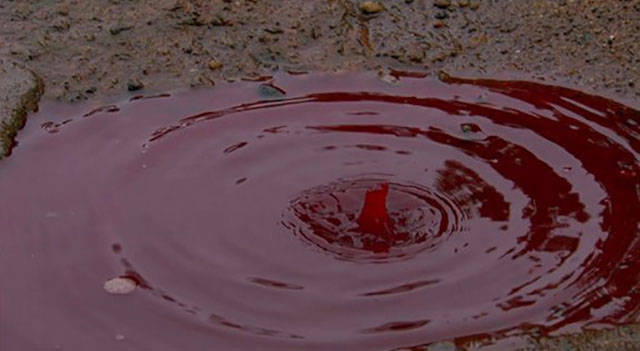 The reason for the stark red color, thought to be red algae, was later confirmed to be the result of iron oxides. Blue no longer stands for cool here. The Ijen Volcano, famous for its blue lava, is another of nature’s marvels. Located in East Java, Indonesia, it is a group of composite volcanoes. The bright blue color is the result of sulfuric gases burning at a very high temperature of above 360°C. As these gases come into contact with the oxygen present in the air, they turn blue. Alongside Ijen is the world’s largest sulfuric acid crater lake, which was formed by the blue lava. Its glory is best seen at night. Pyura chilensis, as they call it in Chile, is weird to the eye and delicious to the tongue. Before you ask why anyone would eat a stone, it’s not a stone. It is a marine filter feeder similar to sea squirts but with no brain or sensory organs. It is born a male, but it produces female organs and then reproduces on its own. 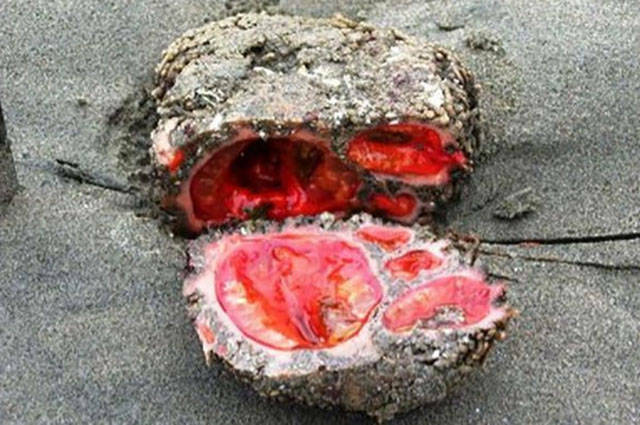 Its blood contains a metal called vanadium, and it is a delicacy amongst the locals of Chile and Peru. 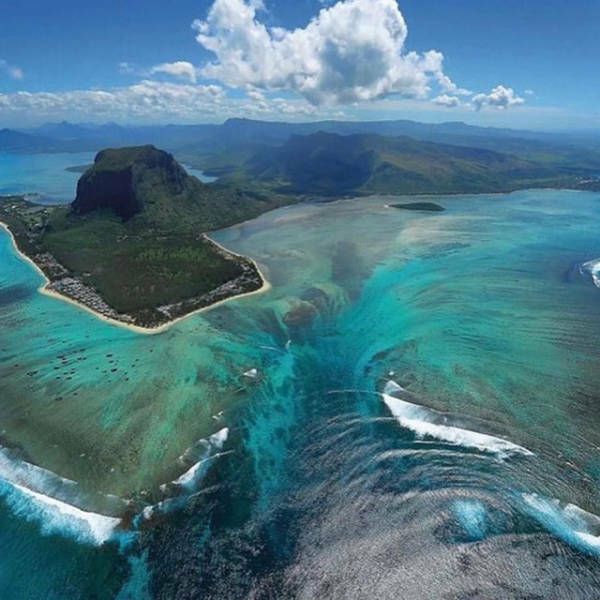 Adding to the scenic beauty of Mauritius, an underwater waterfall has defied all the laws of physics and flows like a mystery. How can a waterfall be formed under the water? The real reason behind it is illusion. It is not water that is falling but sand from the beaches being swept off the plateau by oceanic currents. But it still looks awesome, right? If you happen to see this for real, you will feel what an apocalypse might be like. 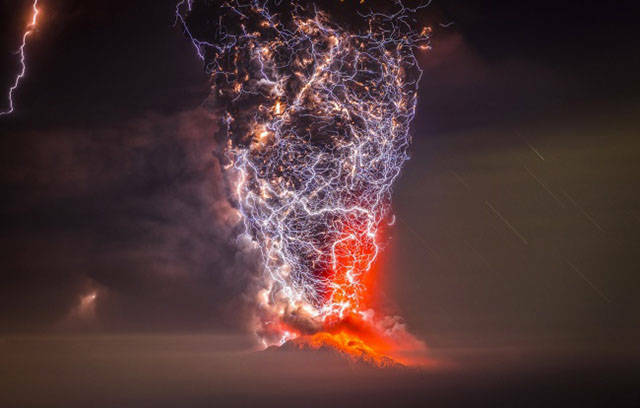 Indeed, it looked horrifying as the volcano eruption was accompanied by lightning bolts. The reason for this magnificent occurrence was the electrification of rising ash particles by the magma. Lightning is generally observed in the lower part of a developing ash plume. The volcano erupted with lightning tearing the sky, causing much terror. The government started the evacuation process in time to avoid damage. 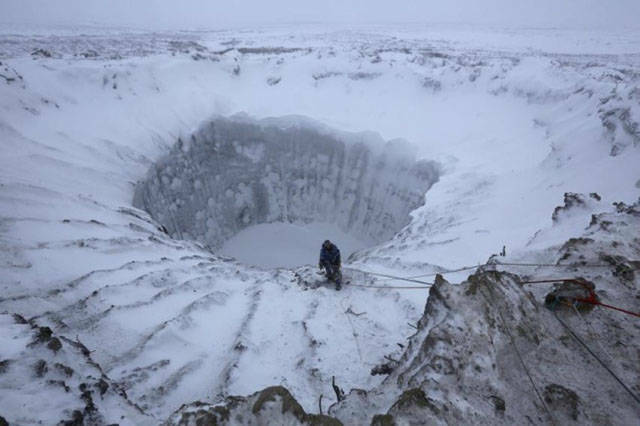 The mysterious hole in Antarctica surfaced in October 2017, leaving scientists astonished. It’s big — almost 30,000 square miles — and was detected by a robotic float capable of operating underneath sea ice. According to the National Snow and Ice Data Center, this phenomenon is also called “polynya,” which is an area of persistent open water where one would expect to find solid sea ice. 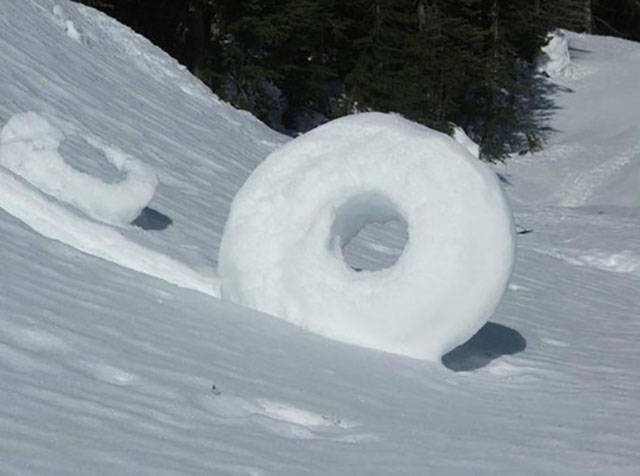 They sometimes look like big donuts or ice tires, as if nature itself came to play snowball with us. It is a rare meteorological phenomenon that is generally cylindrical in shape. The reason why they are hollow in the middle is that those are the first layers to get formed, and thus they are weak and fragile and easily get blown away by the wind, making it look like a donut. These can be as small as a tennis ball and as big as a car. In 2001, the southern Indian state of Kerala was left in amazement. It was pouring red rain, and it stained everyone’s clothes pink. At first, some kind of meteor strike was blamed. However, later studies confirmed that the cause for the color red was airborne spores from locally prolific terrestrial green algae from the genus Trentepohlia. The phenomenon later reoccurred in 2012 in India and Sri Lanka. It sounds a little spooky, but the humming sound in Taos in North Central New Mexico is confirmed by some and unheard by some. Those who have heard it claim they hear the humming sound day and night, but the origin is still unknown. The first hum was reported in the ’90s. Although there were many scientific and psychological explanations given, none were 100% assured. 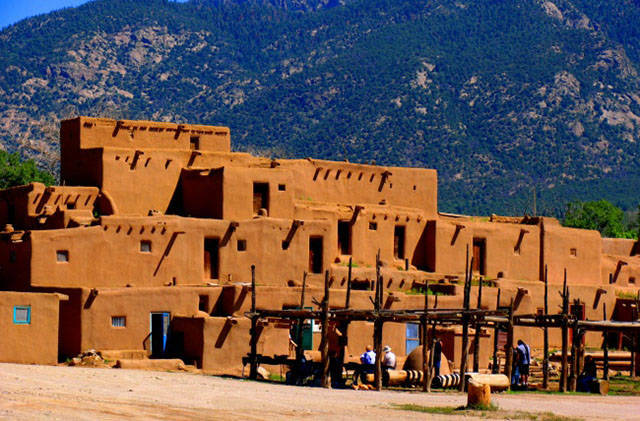 Have you been to Taos yet? Could you also hear the hum? 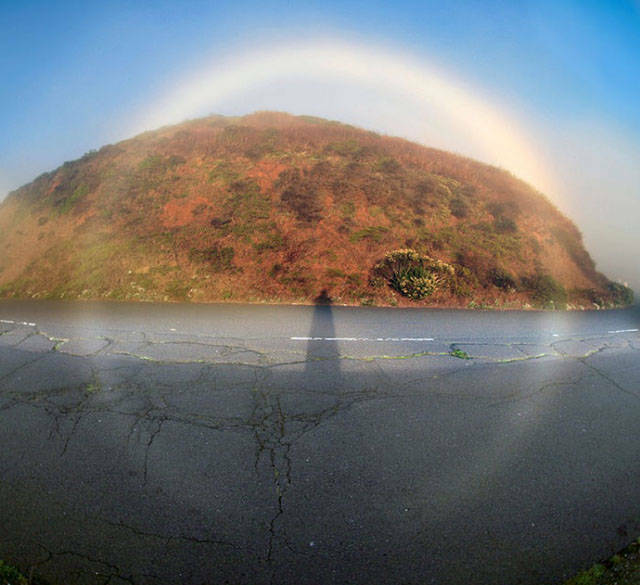 Also popularly known as the white rainbow, the fog bow is caused by very small water droplets — smaller than 0.05 mm (0.0020″). These beauties have multiple pale rings caused by diffraction and are also popular amongst mariners (they call them sea dogs). So the popular singer Sting wasn’t that wrong — desert roses do exist! 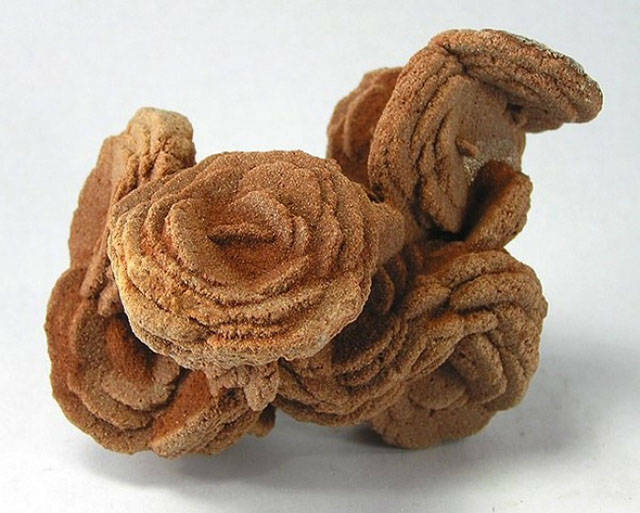 On a serious note, these desert roses are formations of crystal clusters of gypsum or baryte, which include a lot of sand grains. On average, the size of a rose rock is anywhere between 0.5″ (1.3 cm) to 4″ (10 cm) in diameter. The largest one was a cluster of rose rocks, and it was around 39″ (99 cm) tall and weighed more than 1,000 lb (454 kg).